This week, CDC launched the second installment of the free web-based antibiotic stewardship training. The first installment, which include 3 modules, was launched in February this year. It provided an overview on the threat of antibiotic resistance and the benefits of antimicrobial stewardship programs in combating this threat. The current installment, which is divided in 4 modules, focuses on antibiotic stewardship in the outpatient settings that include urgent care centers, emergency departments, dental offices, primary care clinics and outpatient specialty care clinics. In additional to targeting physicians, it also targets advanced practice providers (e.g., nurse practitioners, physician assistants), community pharmacists, and clinic leaders. The first part, Module 4A-Outpatient Antibiotic Use Across the United States: Background & Errors in Antibiotic Use, will take approximately 45 minutes to complete. It covers information on outpatient antibiotic prescribing practices and trends in the US. The four common types of inappropriate antibiotic prescribing (unnecessary antibiotic prescribing, and errors in antibiotic selection, dosing, and treatment duration) are also discussed. Did you know selection of first-line antibiotics for acute otitis media, sinusitis, and pharyngitis only averaged about 50%? Module 4B explores the various drivers of inappropriate outpatient antibiotic use and discusses strategies for improvement. The importance of behavioral science to inform antibiotic stewardship interventions to address inappropriate use is introduced. This module takes approximately 30 minutes to complete. Module 5-Core Elements of Outpatient Antibiotic Stewardship: Implementing Antibiotic Stewardship in Your Outpatient Practice requires about 60 minutes to complete. This section highlights the four Core Elements of outpatient antibiotic stewardship. Steps to implementation and evidence-based strategies to improve prescribing are discussed. Finally, Module 6 discusses the importance of and strategies for improving communication on outpatient antibiotic use. It incorporates an existing communication training module (DART*) from Seattle Children’s Research Institute and the University of Washington which exposes clinicians to patient/parent communication techniques when antibiotics are not needed. This type of training is intended to address patient’s expectation to receive antibiotics, which has been shown to reduce unnecessary antibiotic prescribing. The module concludes with an interactive activity for participants to practice patient communication skills. Approximately 45 minutes is required to complete this module. CDC will launch two additional sections in the near future. Completion of all 4 sections not only allow participants to earn continuing education credits but it also fulfills two Improvement Activities under Patient Safety & Practice Assessment subcategory of the Centers for Medicare & Medicaid Services Merit-Based Incentive Programs or MIPS. These 2 activities are IA_PSPA_23: completion of CDC training on antibiotic stewardship and IA_PSPA_24: initiate CDC training on antibiotic stewardship. 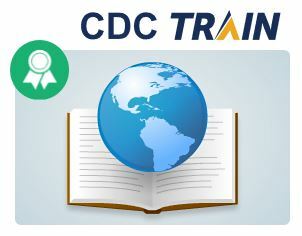 To register for the course, visit CDC Train at https://www.train.org/cdctrain/home and search the catalogue for CDC Training on Antibiotic Stewardship. * DART is an acronym for Dialogue Around Respiratory Illness Treatment.